You are a smart, skilled, and experienced Civil 3D user. To make the time to build and care for your organization’s Civil 3D Templates and Civil 3D Styles for AutoCAD Civil 3D is nigh to impossible when times are good or maybe even when they are not so good. It’s the middle of winter. Maybe you have a day or two? Ok. That's probably going to be more like an hour or a few minutes. You have billable hours to generate, but the people around you depend on you to keep the organization’s act together. In your spare time you get to study and try to improve the organization’s productive use of Civil 3D? You are interested and motivated. Civil 3D customization is a huge and complex task. The work is full of lots of tedious, intricate, and often unforgiving detail. You can’t fool me. That work can inhale man-hours. You must explain, and perhaps even justify, the new Autodesk subscription policies and the new and different AEC Collection to the powers that be. You know the drill. There’s that latest AutoCAD Civil 3D Update you haven’t had time to deploy. God forbid, you still have last year’s release of AutoCAD Civil 3D to implement and cope with. What will you do about updating on-going projects after that? Did you miss or catch the recent Who Broke Civil 3D Reference Templates post? You try and teach people around you how to use the AutoCAD Civil 3D customization you built? You’ve certainly noticed by now that you understand how what you built works, but others don’t always get it? Maybe they don’t seem to care except when they can’t get their work done. Then they change and even break stuff, and tell no one. People do that. You get to figure out how to fix it when the emergency call or email arrives. Somehow you get your own work done. Maybe it’s not you or even them? Today the boss dropped by to say there’s an important, new, and different project on the horizon. Almost everyone faces the same, common problems and for similar and familiar reasons. Someone did something about the real world production problems of AutoCAD Civil 3D. The answer is field tested for years by lots of customers with the same Civil 3D and it works? The answer’s details, testing, and development came from people just like you? You only had to deal with tweaking a relatively few number of specific details instead of all the thousands and thousands of details it takes to make Civil 3D work in production? The solution is so affordable no boss could argue about the price? Take a few minutes and discover the best-kept Civil 3D secret – The Framework for Civil 3D. You might want to give our Templates Only trial product a quick test drive. The results may be a breath of fresh spring air in a winter of discontent. Words are not enough. How about one of my favorite quick videos? The InstantOn Miracle. What do I mean by that? 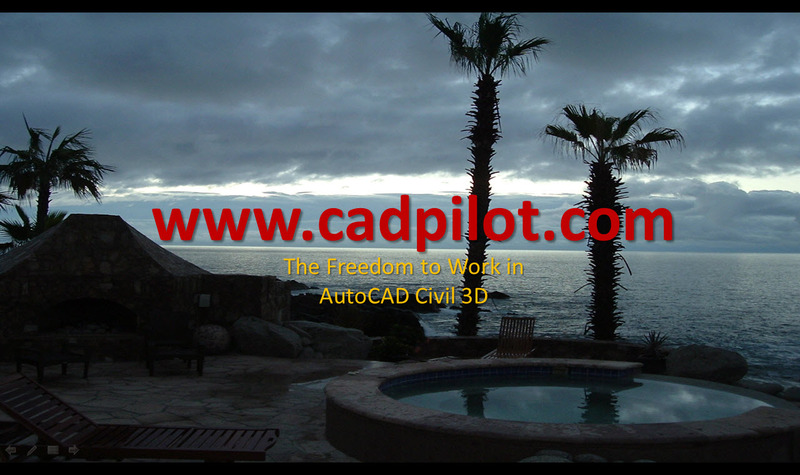 Read the Employ a Better AutoCAD Civil 3D post.